In spring of 2018 I made the trip to Mammoth Lakes in Northern California. This is one of my favorite places for mountain hiking to fresh water lakes for fishing and photographing. The fish are small and wild, but the quiet scenic landscape is awesome. Chris & I hiked the Little Lakes Valley, up to Treasure Lakes. There are four lakes at elevation over 11,000 feet and they are difficult to hike to. 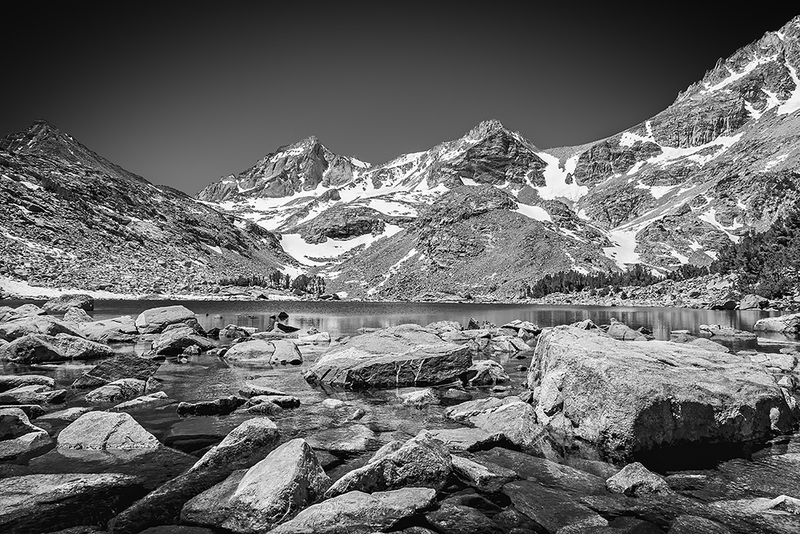 Here is a black and white photograph of one of the Treasure Lakes.